For parents and kids who want to learn more about kids' camps ahead of the summer camp season, there can be no better way than our camp expo. 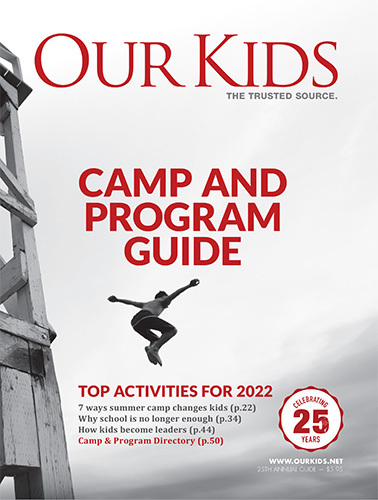 The Our Kids Camp Expo, run annually since 2011, is the single-most important resource for families investigating kids' camp options. It provides a perfect forum for parents to meet face to face with camp directors and counselors, ask questions, have fears alleviated and simply get informed. And it's a lot of fun! Find the best summer camp, March break program, day camp or overnight camp for your child(ren). You'll meet the leading camps from across Ontario and Quebec. You'll get information about how to find the right camp for your child's specific needs. You'll find out about options from arts camps, education camps and sports camps. You'll learn what to budget for camp costs, along with information about bursaries, discounts and tax credits. You'll hear firsthand and judge for yourself the benefits of camps. You'll meet and get to know the camp staff who will be caring for your child(ren). The 2019 Camp Expo will be held February 9, 2019, in Toronto. The summer camp expo helps you get your child involved with the decision making process. Meeting counselors and staff face to face will help him or her alleviate fears (yours as well!) Your child will learn what the camp is like and they'll get acquainted with the staff, well ahead of the camp season. The camp expo can help kids get used to the idea of summer camp. They'll even start to look forward to it. You'll be able to grab information on a wide variety of camp options, many of which you might not have considered or even known about. If you want to, the Camp Expo will allow you to arrange further personal one-on-one meetings or schedule open houses with the camp staff you connect with. There is a camp for every child! And the Our Kids Media Camp Expo will help you find the right one for yours.